Beneath powerful fists of furious martial arts, bones crack mercilessly under their weight. Beneath the overwhelming force of nature known as anticipation, we beg for the answer to this: When will Tekken 7 be coming to home systems? 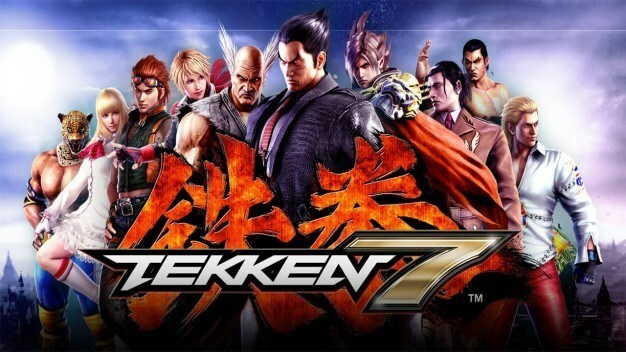 Powerhouse interactive entertainment media publisher and developer BANDAI NAMCO Entertainment America Inc. has announced that the seventh installment of their legendary fighting game series is currently in development for home systems. Only complemented by the eye-popping graphics, detailed characters, and vibrant settings provided by the power of Unreal Engine 4, Tekken 7 will introduce numerous modes and enhancements not featured in the arcade version, one of which includes an in-depth story mode. The canon story line centers on the everlasting battle for supremacy amongst the Mishima clan. With newest challenger Kazumi Mishima joining the fray, the ongoing battle between father and son, and also husband and wife, will come to an epic conclusion in Tekken 7. Kazumi Mishima will also be joined by a host of new fighters such as Claudio, Josie, Shaheen, Katarina, Lucky Chloe, Gigas, and more for the very first time away from the game’s arcade counterpart. For two decades, this gaming franchise has been a standout amongst its contemporaries as one of the best in its genre. Tekken 7 is slated for release on home systems in North America and Brazil. For all things Tekken, visit http://us.tekken.com/#!/en/home.